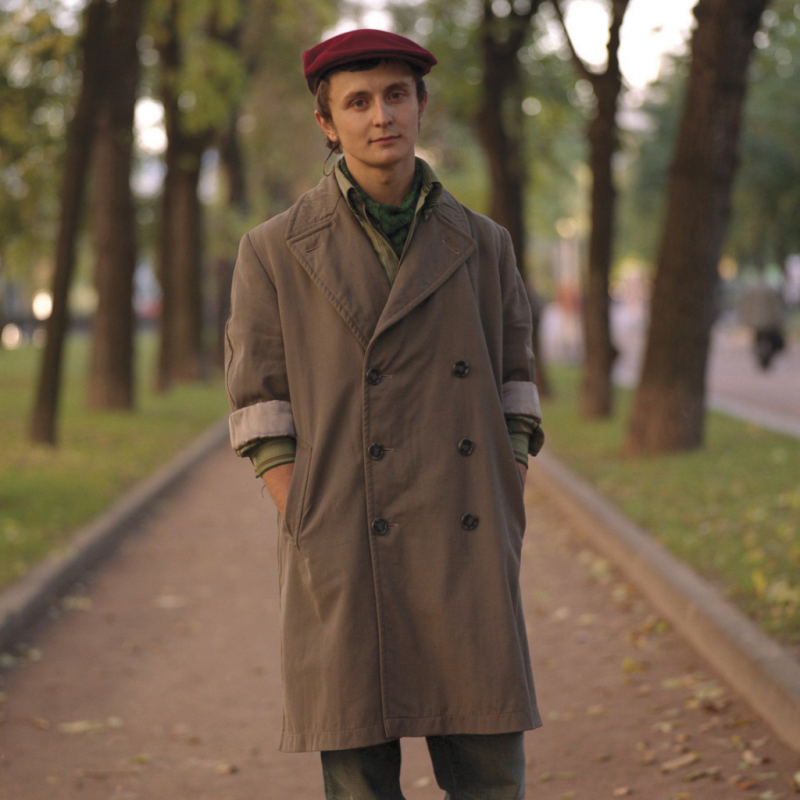 This photograph is part of a series of portraits of young Russians taken on Tverskoy Boulevard in central Moscow from June to September 2007. The portraits are the result of my fascination with the generation that came of age in my absence, that grew up in my home country under radically different circumstances, during the period of rapidly changing politics, economy, culture and values. They are the first generation to be a product entirely of a post Soviet Russia. Born and raised in Moscow, Russia, I moved to the US after receiving a full scholarship from Mount Holyoke College, and earned a BA degree in Comparative Literature and Philosophy. I am currently working on various portraiture projects that are both documentary and personal. Photography is a way for me to process my experiences, past and present. I use only natural light, and always shoot on location. I attempt to achieve intimacy in my portraiture, yet, stay detached at the same time, as I strongly believe that photography should not impose an opinion, but instead, allow viewers to form their own judgments.